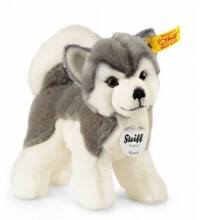 Sigi is made by Steiff as part in 2011. 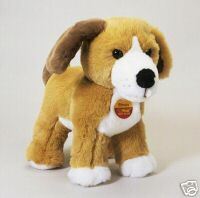 He is made of soft white, black and brown plush. He is 45 cm. / 18" tall. 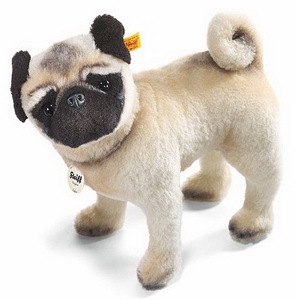 This Steiff dog is has been made in Germany in 2013. 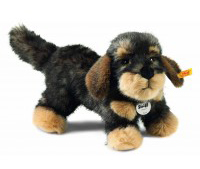 Moritz is made out of dark grey tipped plush. 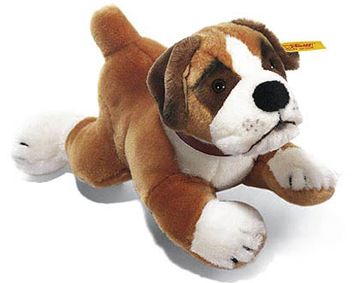 Machine washable at 30° C .
This playful dog is made in 2011. He is 35 cm. / 14" tall and made of wonderful dens mohair. 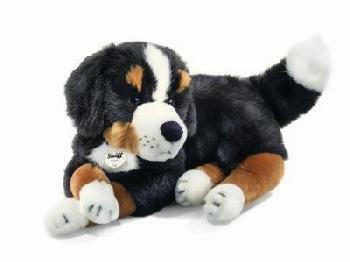 Bernie is made by Steiff in 2014. He is made of soft white and grey plush. He is 17 cm. / 6.8" tall. 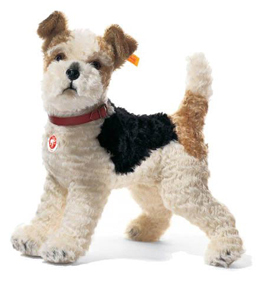 This dog is made in 2011. He is 30 cm. / 12" tall and made of wonderful beige alpaca. Lumpi is made out of blond plush. This puppy is 25 cm. / 10" tall. He comes with his own play kennel. This dog is 25 cm. / 10" tall.